Very solid built home on a 1/4 acre paved lot. 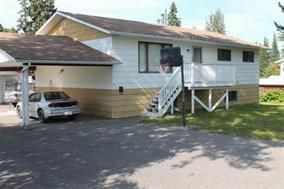 Located on S.Kelly across from the Alpine Pub, close to shopping, ski hill, schools and golf course. This home is perfect for the first time home buyer or the do it yourselfer. Over 1200 sq/ft per floor with separate entry into the basement for possible suite. Roughed in plumbing downstairs ready for bathroom and open floor plan to make the basement exactly how you want. Single carport and asphalt driveway for easy shoveling. This home will sell itself with a price to match.